As the business world continues to grow tougher, business owners should look at all the possible ways to cut operational costs in order to save more for themselves and for their business. Every business form a fortune 1000 company to even the smallest startup businesses is in search of ways to cut down operational costs and what better way to make a start at it by hiring a virtual office assistant. Admit it, you cannot run a business alone and sooner or later you will need a person to help you with the daily tasks. Soon you’ll be feeling the pressure and think of an assistant to help you deal with the burden and get the work done in time. Instead of hiring an assistant in your office whose salary will be a great burden on your business’s wallet, go online and hire a person who will be helping you without costing you a fortune. In today’s world where internet is cheaper than a bottle of milk, everyone owns an internet connection and there is no way you won’t be finding a virtual assistant for your office tasks. The internet is filled with links to teams and even individuals providing the online virtual assistant services. But if you are an organized business and cannot afford delays and mistakes, there is no way you should go for an individual but you should hire an organized team to handle your tasks. There are many reasons for businesses to hire online teams to do their work but the main reason is to control costs. If your business is located in a region where pay rates are high (the western world), hiring staff at the office will surely present a lot of pressure on your financials. Hence you should seriously think of outsourcing your work to the workers in the other part of the world where the pay rates are lower and certainly within a scale you can afford to pay easily. With a team hired offshore you get saved from a lot of overhead costs and you’ll get enough room to expand your business by investing in it rather than on the employees. 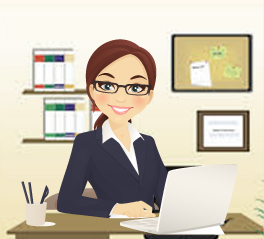 Costs of a virtual office assistant can vary and so will the quality of work. If you decide to hire a team which works at unbelievably low prices, bear in mind that you won’t be getting a lot of quality work because it surely costs a bit of money to keep upgraded. And since your team also has needs of its own, it will be charging a bit of higher rates than the extremely low ones. So choose your VA team carefully and be sure that you don’t fall in a trap because once you’ve given your office work to some C class team, you’ll be regretting it for a very long time. This entry was posted on Thursday, March 20th, 2014 at 10:17 am	and is filed under Virtual Assistant Services. You can follow any responses to this entry through the RSS 2.0 feed. You can leave a response, or trackback from your own site.